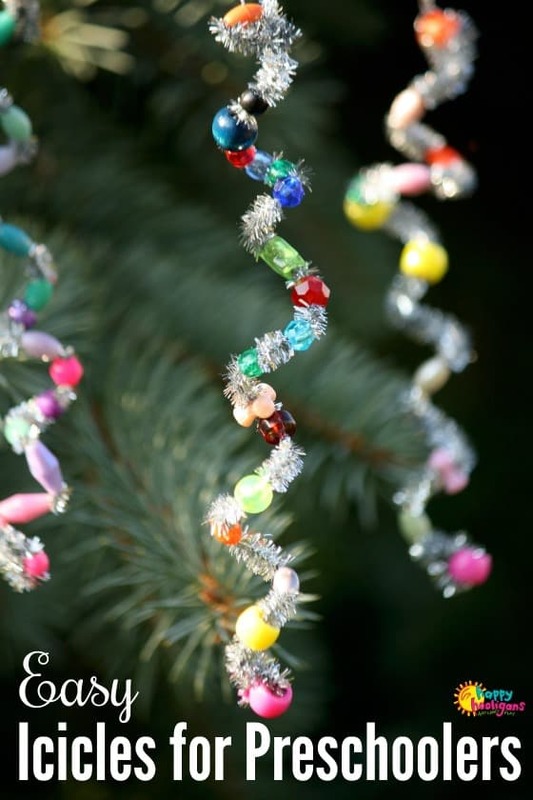 This easy icicle ornament is made with pipe cleaners and beads is an easy Christmas craft for toddlers and preschoolers to make for the Christmas tree. It’s also a great activity to help kids strengthen their fine-motor skills. With Christmas drawing nearer, and the days getting busier, you’ll love the simplicity of the beautiful but simple icicle ornaments that we made today. 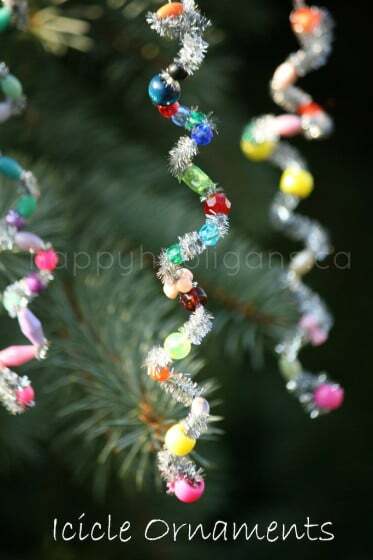 These icicles are really are quick and easy to make, so they’re great as a last-minute holiday craft at home or in your daycare or preschool. This is a wonderful activity for strengthening fine motor abilities and hand-eye co-ordination, and it’s an opportunity for preschoolers to explore colours and patterning. 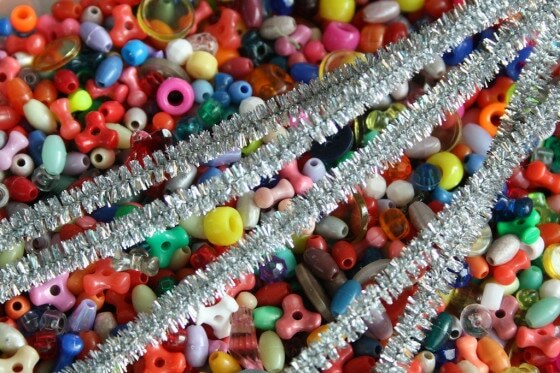 Any time we craft with beads, I like to dump all of the beads into a large container so they kids can get their hands in there and sift through them. It’s a lovely sensory experience, and often they’ll stop to talk about the particulars of a bead they’ve found: the colour, the shape, how shiny it etc. So even though our icicles are a very simple Christmas craft, it still presents lots of opportunities for learning. Silver pipe cleaners are best if you want that glittery, icy look. Making the ornaments kept the hooligans busy for quite a while. It requires lots of concentration to thread a pipe cleaner through all of those beads. 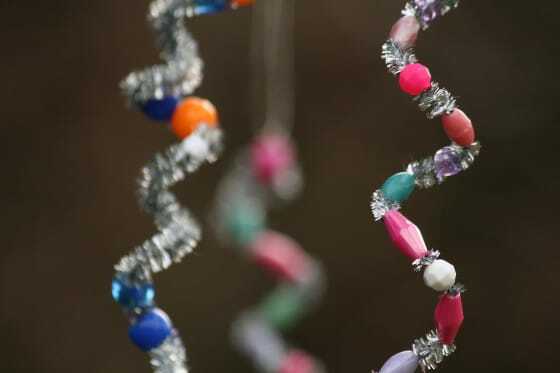 The holes in some of the beads were really tiny, but they all worked away, unassisted, until their pipe cleaners were loaded up. 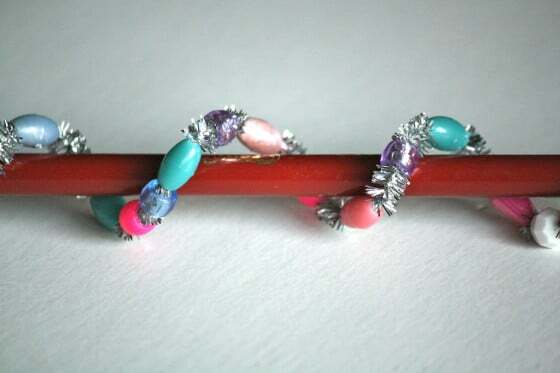 To stop the beads from sliding off the end of the pipe cleaner, twist the pipe cleaner around the bottom bead a couple of times, and do the same at the top end once the last bead is on. Space the beads out a bit so you can see some of the silver in between them. To give your icicle a spiral effect, have your little one wind the pipe cleaner around a pencil, and then slide it off, and stretch it out a bit. Finish by slipping a length of thread through the top bead, and knot to secure it. I love how our icicle ornaments shimmer in light. Simple and sweet. The perfect Christmas craft for this busy time of year. Gorgeous! My son would love doing this. They’d look really pretty hanging in a window too. Thanks Ann. They WOULD look lovely in a window! 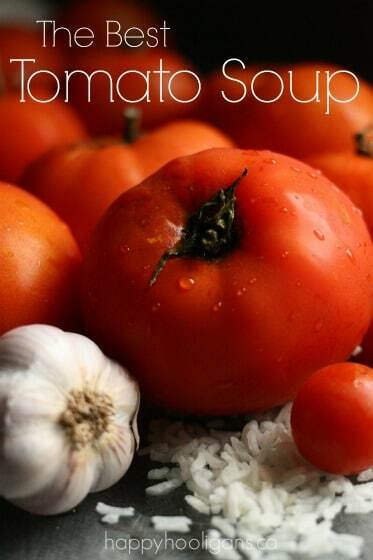 Hope you try them with your guy! They’re so simple and cute! Hi Paula! Thank you so much for your lovely comment! I’m glad you’re enjoying our ideas. 🙂 I took a look at the post that you wrote, and I notice that some of your links are working. I don’t know how to add a link in Blogger (I’m with WordPress), but I notice you have my link down as a .com. It’s actually a .ca, so if you change it, it might work. Wow. Clearly, I use the happy face emoticon far too often!! Thank you for linking and sharing, Deb! I really like the simplicity of the idea…and apart from being simple..they look really beautiful..amazing idea to create a personalized icicle ornament, by adding a message hanging from the other end. Beautiful! Too bad it’s June, lol. That’s OK, I will definitely remember this! Are you on Pinterest, Sarah? It’s a great way to keep track of ideas you want to try. These are so cute and simple! I can’t wait to do them! Glad you liked them, Monica. You’re right, they were super-simple, but they looked so pretty! Absolutely! I would love for you to share them! I absolutely LOVE this fun idea! Thanks for sharing – we have pinned it on our Holiday board! 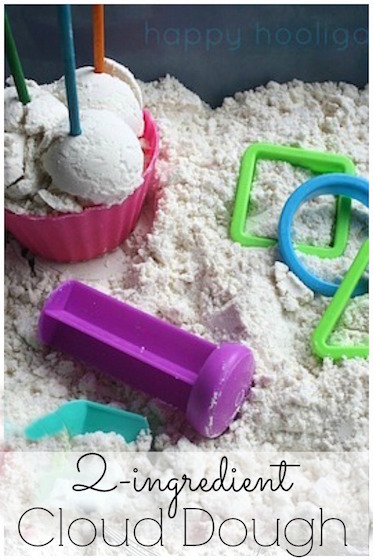 I don’t do messy play so finding this link and non messy creative play for my daughter and I is perfect!! 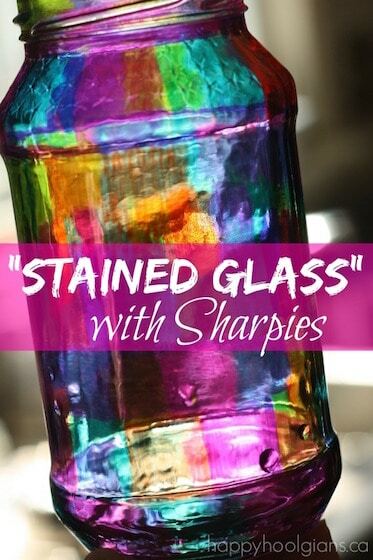 Thanks so much for your “Happy Hooligan’s” site.I am a grandma of 6 and absolutely love these easy craft ideas. Do you know about Pinterest, Bonnie? If you were on pinterest, you could just “pin” all of the posts that you see to a visual bulletin board. You can have multiple boards organized by topic. It’s an excellent way to “store” your favourite posts with just a couple of clicks of the mouse. Thanks, I will give it a try also, you have so much good things to do and we have been having a lot of fun. Love these ideas, your very talented. This idea is absolutely beautiful and colorful!! I like this activity because for children, it also helps the development of fine motor skills and it adds a lot of fun for the holiday season! 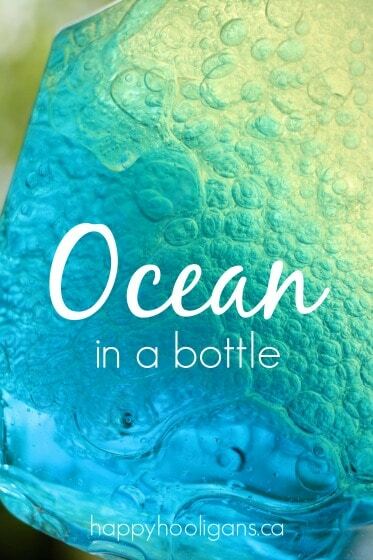 A great activity to do indoors especially if the weather is rainy or snowy. These are lovely. ..but I wondered what size pipe cleaners these were. ..which type exactly would be helpful. Thank you so much. They’re just your standard metallic pipe cleaner, Tracy. Probably about 12 inches long. This is just the site I needed. Thank you. I am having all 5 grandkids over to do Christmas crafts. I am so excited, this is going to be so much fun. Thanks again. Perfect for our outdoor Christmas tree! All the ornaments will be made by the kiddos with help from Grandma. très mignonnes et simples à faire ces petites pendouilles ! j’ai des cure-pipes et je vais peut-être m’y essayer ! 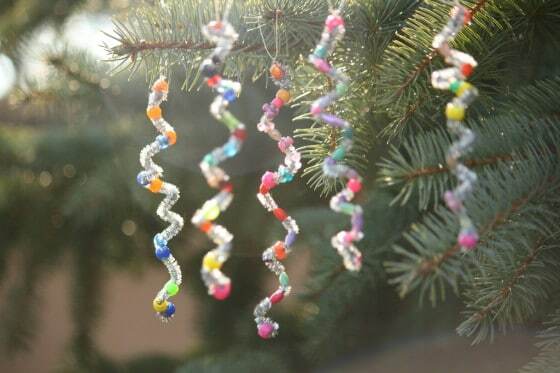 I’m doing a roundup of Christmas ornaments that kids can make. I’d love to include your beautiful icicles! (One image and a link back). I blog on One Creative Mommy. Would that be okay? This great-grandmother really likes this link. The little ones love arts and crafts, as do I. But I really like ones that clean up quickly at the end of their time spent with us! Pinterest is so a great resource. Thanks for a quick and easy Christmas project. 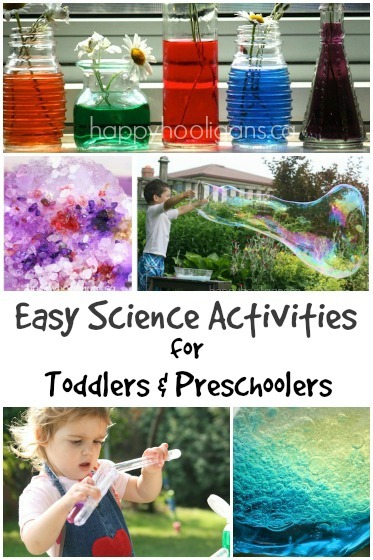 These are so clever, and something about this activity fascinates preschoolers. I included this in my Christmas in July roundup. Just trying to get some ideas together, our family is having a decoration day with all the little ones, and need to be ready with supplies. Oh, hey, unknowingly, my 3 yo grandbaby is halfway here with making these! I was trying to teach her how to make candy canes on pipe cleaners, and she kept putting on beads and twisting them. Ta da! I love it! What a smart cookie! Thank you for this idea! Will be making tonight for gifts! Oh great! Hope you had fun with them, Sarah!